I didn't actually notice any fragrance, despite the name, but then I never do, and even if I did smell something there would be no way to track it to its source, what with all the people and air currents and plants crammed cheek to jowl. We've seen Purple Cascade before (2013), though possibly not this particular clone of it. The picture's a lot better this time around, at least partly because I was able to get a lot closer to the plant. I did have to step over the fencing around the display in order to get the photo, but nobody seemed to object, or even to notice. 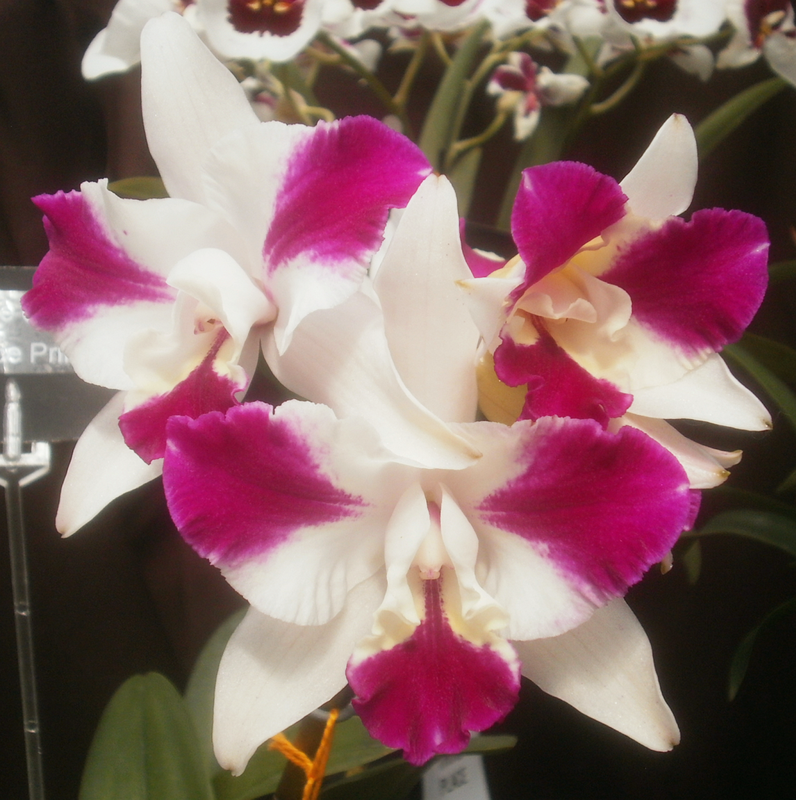 Now THAT the kind of flower that makes orchids tempting. I don't have the space for them when they aren't blooming - too many other plants that look attractive year-round. Plus my house doesn't have the humidity needed. I really need a greenhouse.